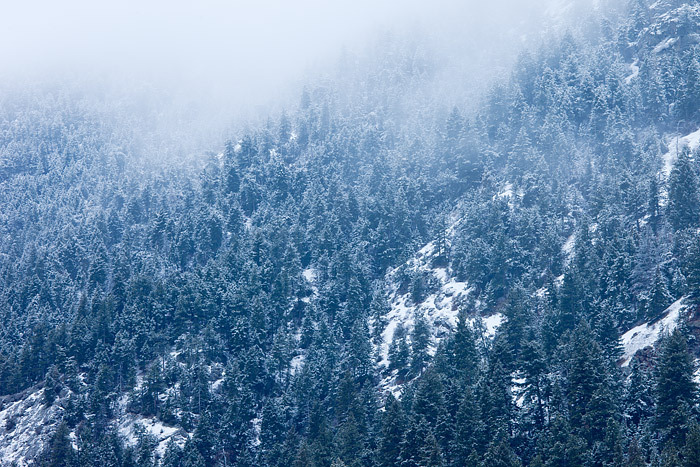 Fog and snow moves in and out of the flanks pine along Boulder's famous Flatiron formation. The overcast lighting, fog and snow covered the landscape with a diffused cool blue lighting which help to enhance the mood of this Winter day in Boulder. Photo © copyright by Thomas Mangan.